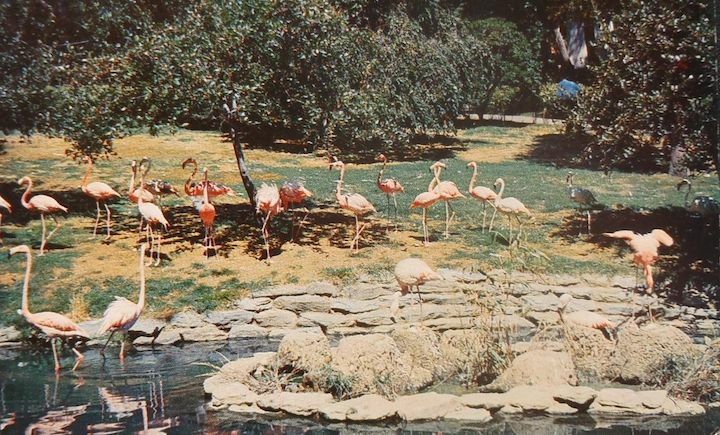 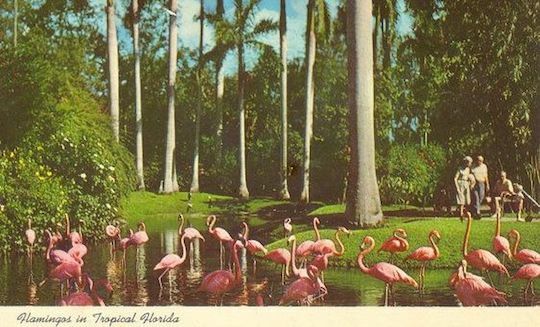 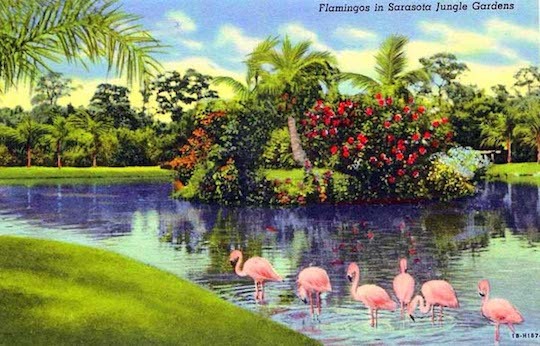 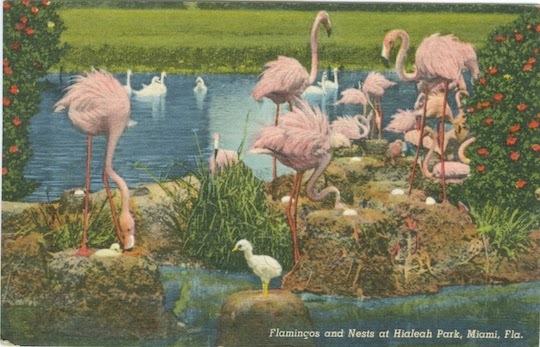 I first saw a pink flamingo at the Philadelphia zoo in the late 1950s. 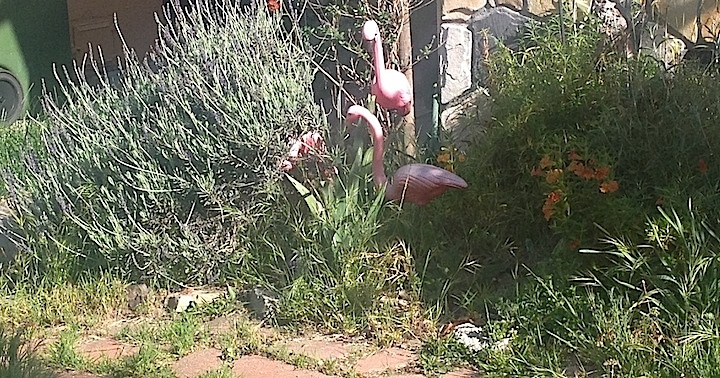 Before that I had a sense of what a flamingo was from Alice in Wonderland, but that is kind of a stretch. 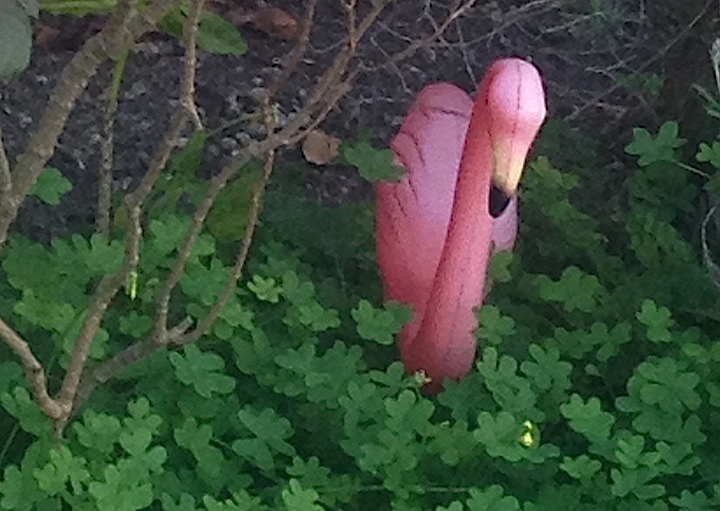 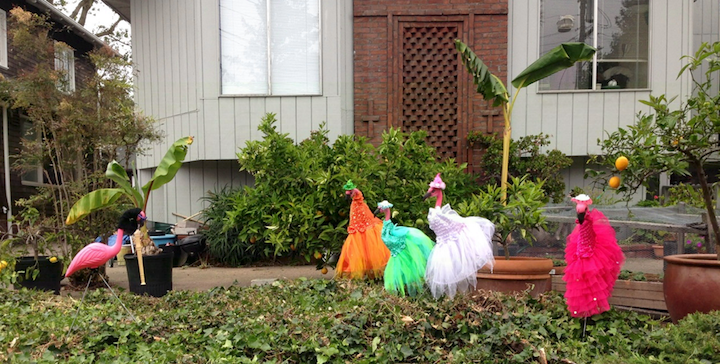 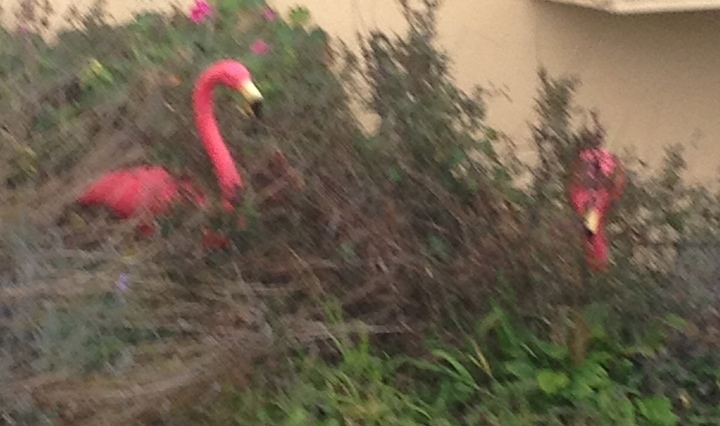 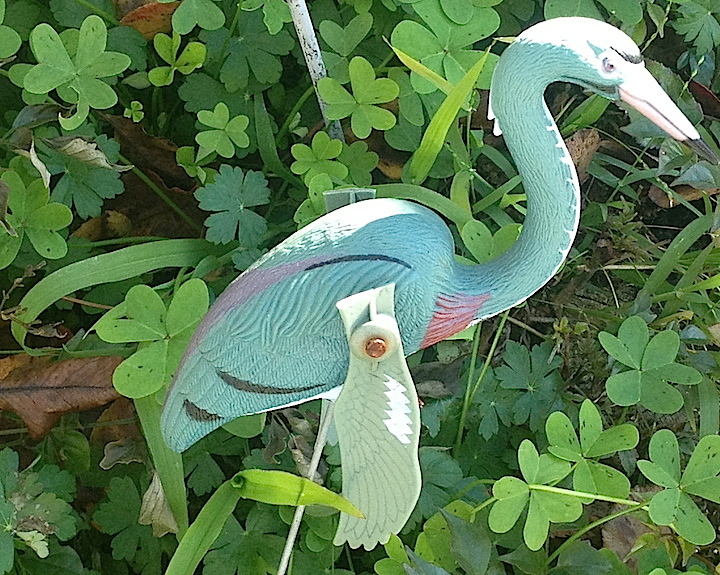 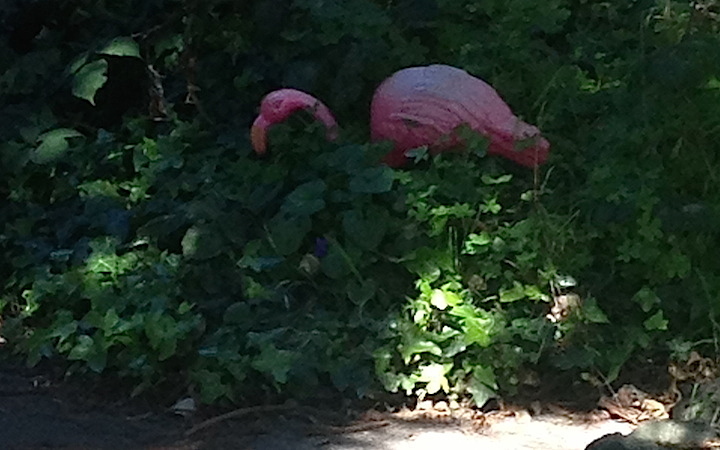 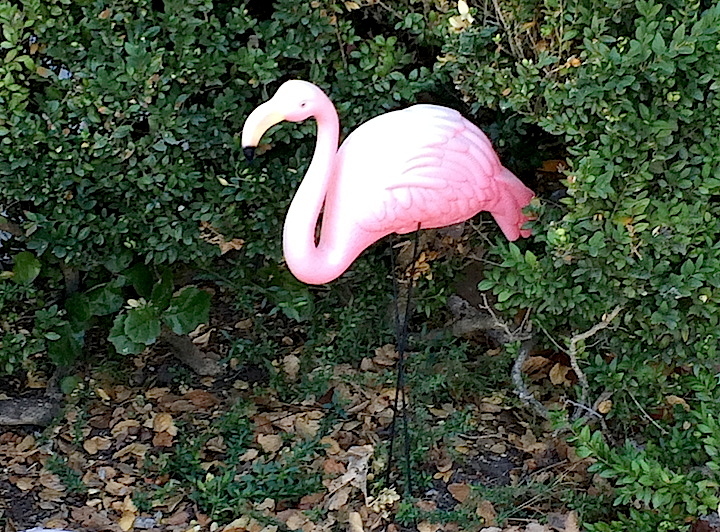 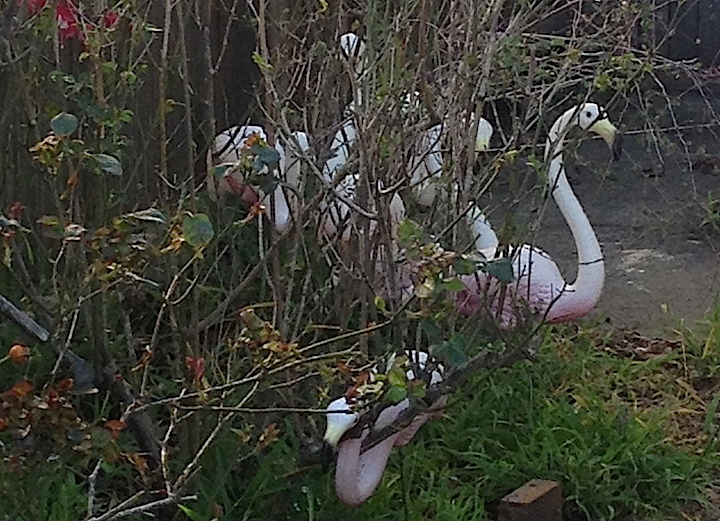 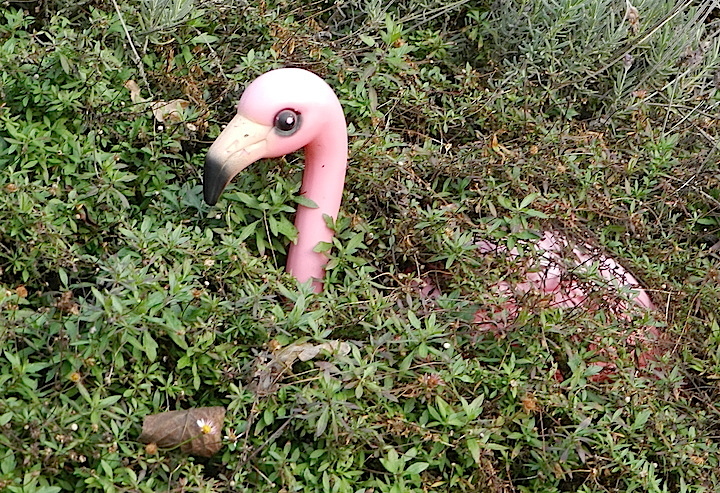 I don’t know when I first saw a plastic pink flamingo on a lawn. 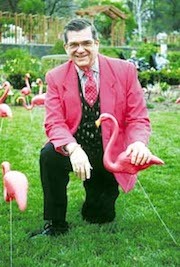 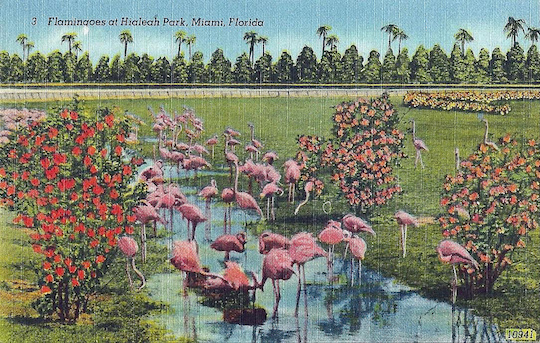 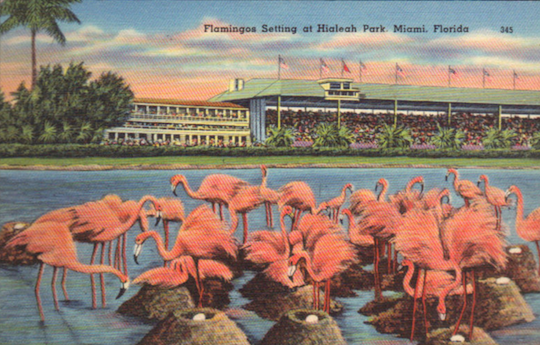 Don Featherstone designed the plastic pink flamingo in 1957. 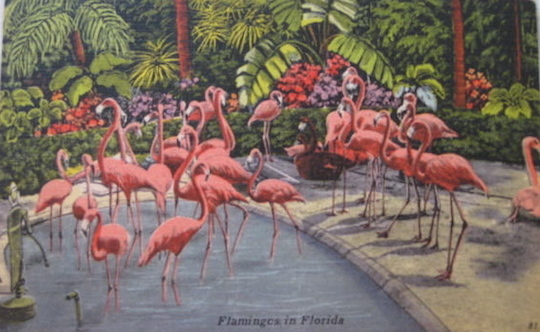 He was working for Union Products at the time. 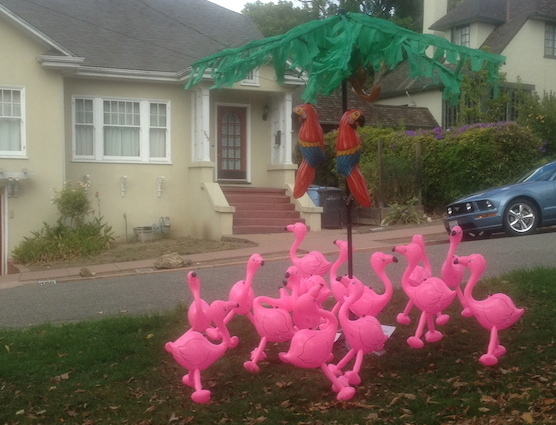 It is an undeniable icon of American pop culture, the genesis of the lawn greeting industry. 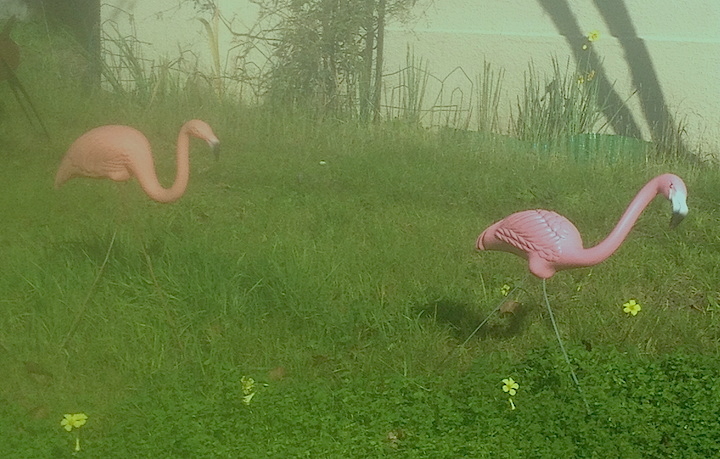 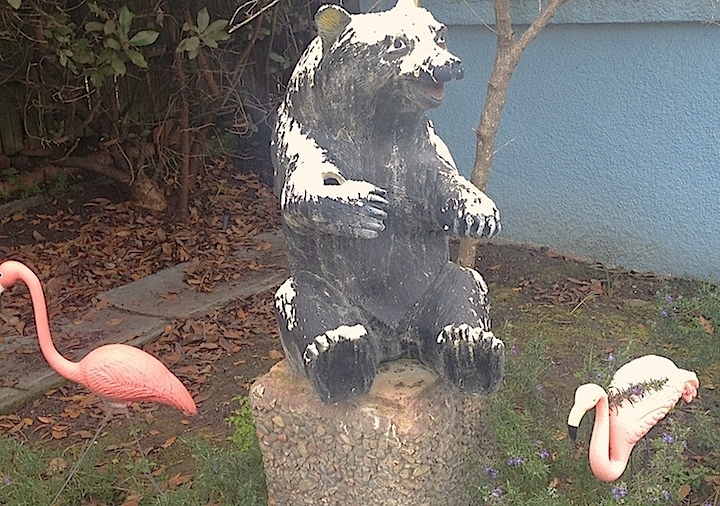 It is the prototype of lawn kitsch. 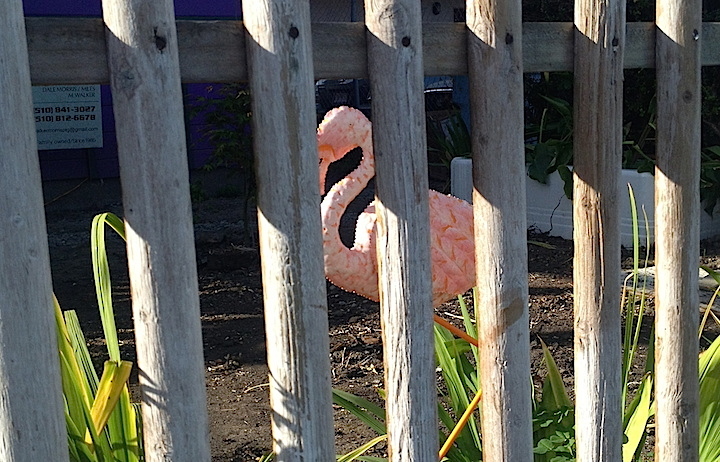 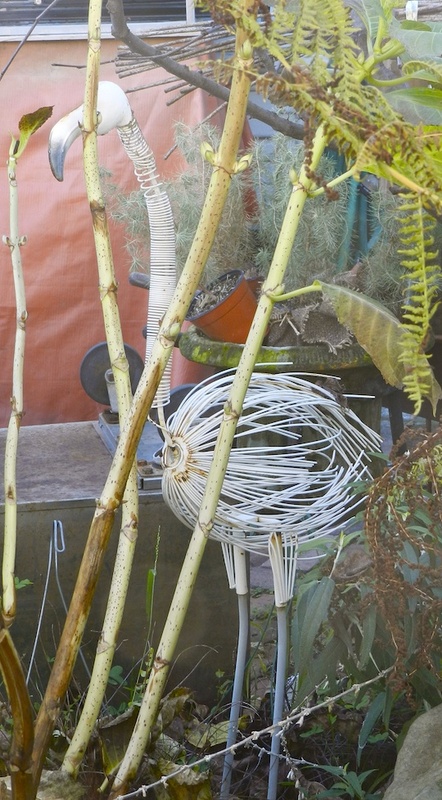 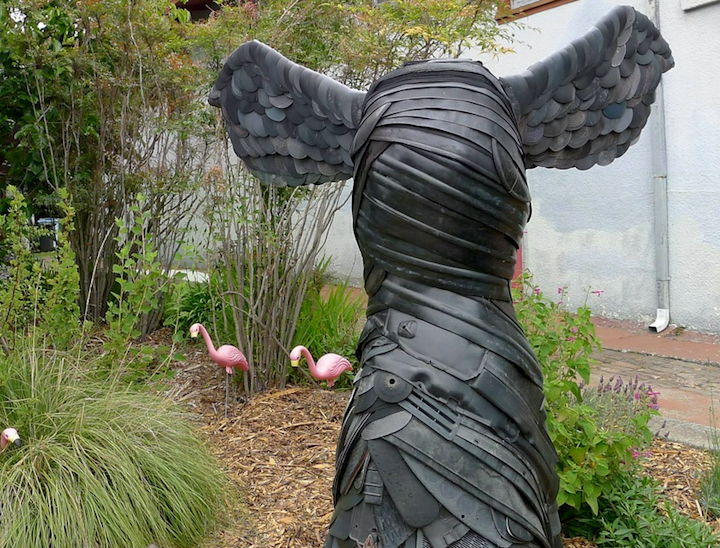 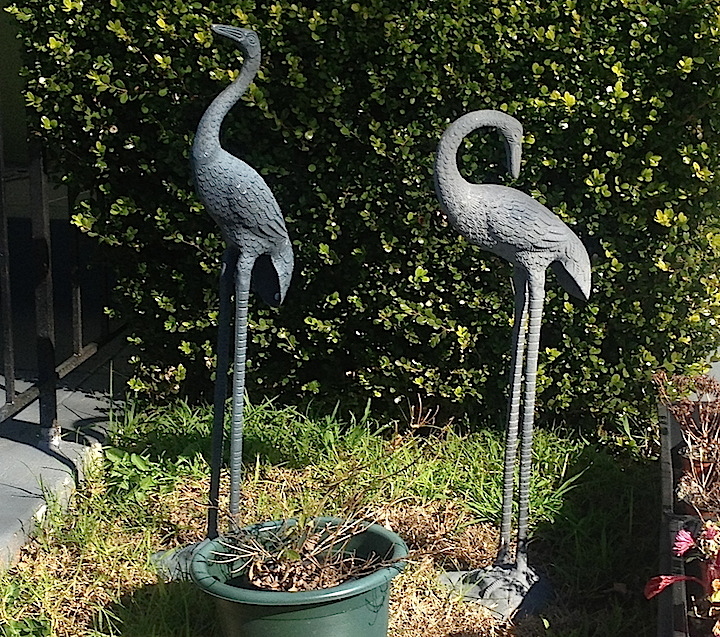 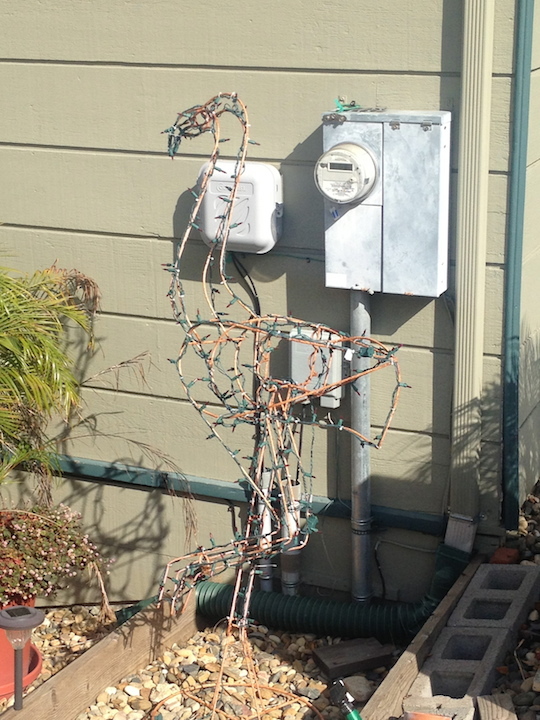 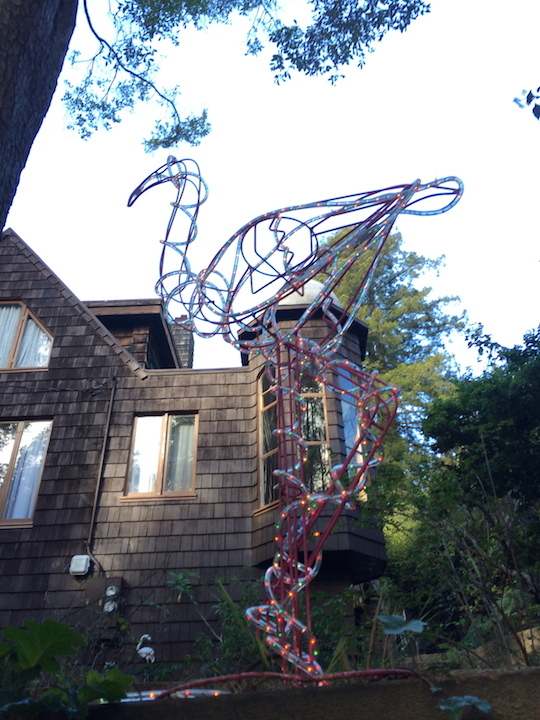 There are several flamingo sculptures that are not plastic, but which clearly evoke the plastic flamingo. 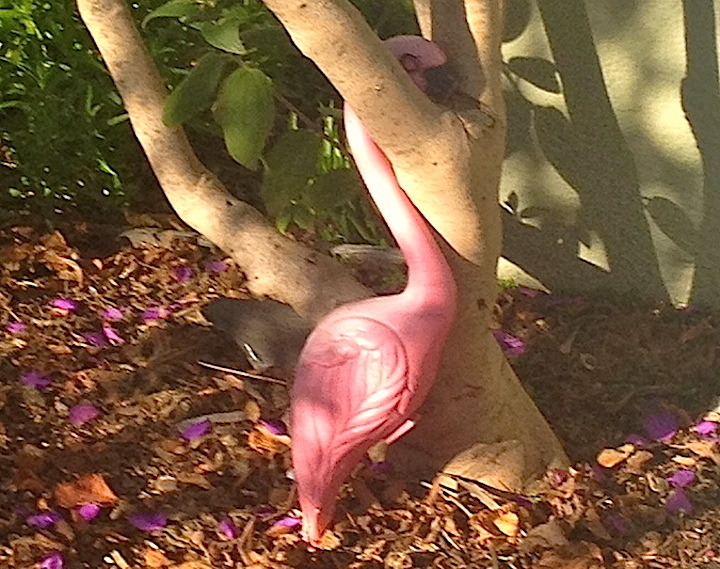 Gabby didn’t settle it. 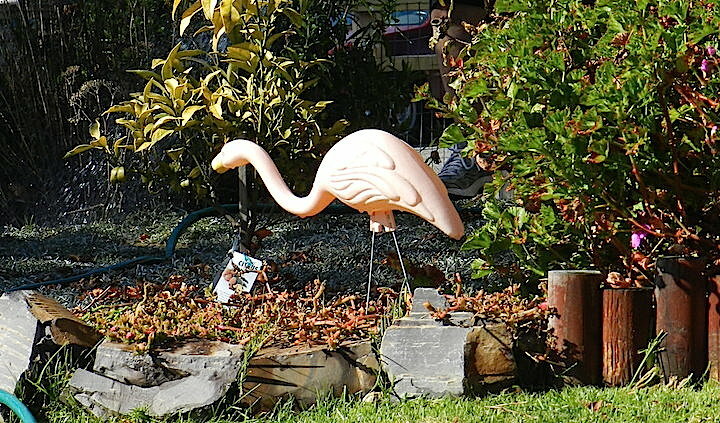 We consulted the Oxford English Dictionary. Both spellings are attested. 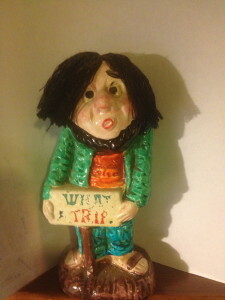 So – no right answer. 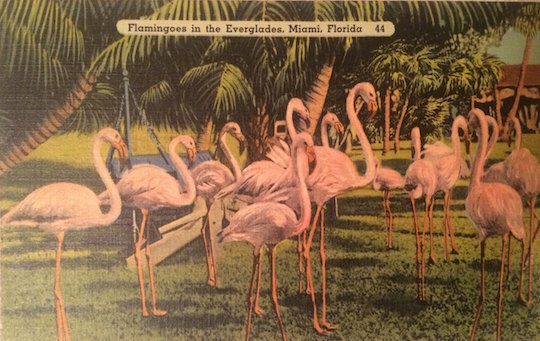 By the way – same thing with tornado in the plural. 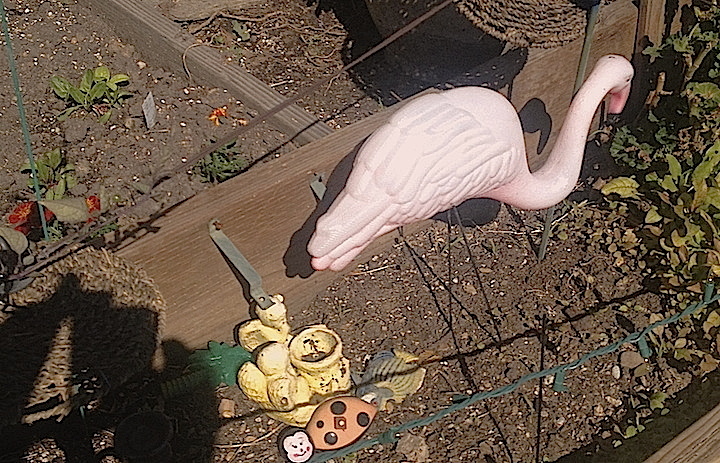 That settled, I was anxious for his opinion of the photos.